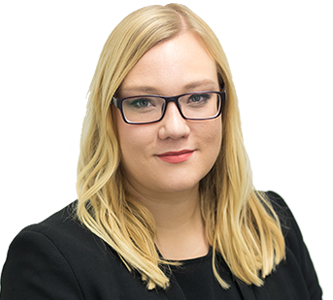 Bethany became a member of chambers in October 2017, following successful completion of pupillage. She prosecutes and defends in the Magistrates’, Youth and Crown Courts, and accepts instructions in all areas of Chambers’ work. She has represented the Home Office, HMRC and the Director of Border Revenue in cash forfeiture and condemnation hearings and represented clients in POCA enforcement proceedings. Bethany is often instructed to defend driving matters, successfully advancing both Special Reasons and Exceptional Hardship arguments. Before embarking on the Bar Professional Training Course, Bethany spent six months volunteering for the Mississippi Office of Capital Post-Conviction Counsel, assisting lawyers working on last stage appeals for clients on Death Row. Before commencing pupillage, Bethany returned to the US, working in St Louis at the Capital Research Institute, looking into racial bias in Capital sentencing, returning to volunteer at the Mississippi Office of Capital Post-Conviction Counsel and spent three month at Orleans Public Defenders, defending both capital and juvenile life without parole cases. Bethany also worked for six months as an investigations paralegal at Fulcrum Chambers gaining experience working on a large Bribery and Corruption case. R v. B: Bethany represented three 13 year old boys accused of Public Order and Attempted Robbery offences. She successfully secured the acquittal of all three defendants, with the Crown withdrawing charges for two of the clients at the close of their case, and the third defendant acquitted of all charges after trial. R v. H: Bethany appeared for a defendant charged with Assault on a Police Constable in the Execution of their Duty. The defendant was acquitted after a successful submission of no case to answer. R v. M: Bethany defended a client charged with allowing himself to be carried on a conveyance knowing he did not have consent or lawful authority to do so. He was acquitted after trial. R v. M: Secured acquittal of nightclub bouncer accused of ABH. R v. B: Bethany represented a client facing a section 4 Public Order Act charge. She secured an acquittal after disputing identification. R v. B: Secured acquittal of client accused of Possession of Cannabis found in her bedroom.